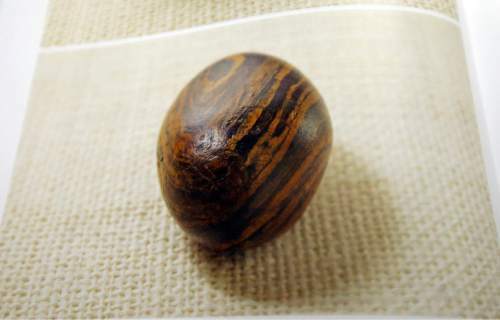 Latter-day Saints are reacting to Tuesday&apos;s first-time-ever release of photos of Mormon founder Joseph Smith&apos;s chocolate-colored "seer stone," as a Facebook commenter puts it, with "humor, cynicism, denial, avoidance and panic." Critics already point to the egg-size rock&apos;s existence as another reason to see Smith as a conniving fraud and the entire faith as bogus. 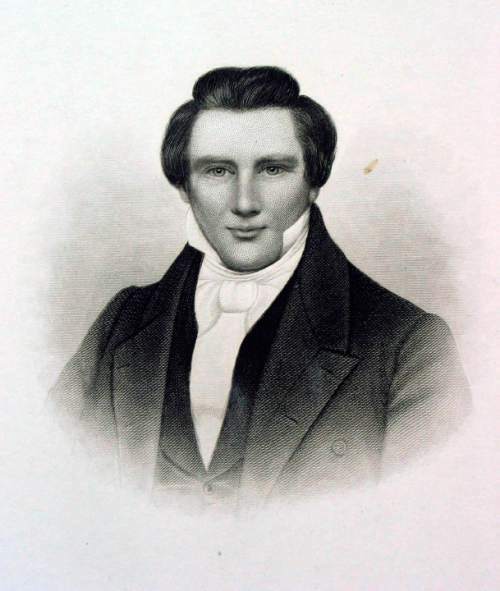 Even some devout Latter-day Saints say they knew nothing of Smith&apos;s use of the stone in producing the Book of Mormon from buried gold plates and are rather troubled by it  although The Church of Jesus Christ of Latter-day Saints has addressed the issue previously, including in a recent Gospel Topics essay on its website. Blame some misunderstanding on artists&apos; depictions and lack of historical awareness, assistant LDS Church historian Richard E. Turley Jr. writes in a forthcoming article for the faith&apos;s official Ensign magazine. "Each artistic interpretation is based upon its artist&apos;s own views, research and imagination, sometimes aided by input and direction from others," Turley writes. "Unlike what is depicted [in one work], [scribe] Oliver Cowdery stated that he did not see the plates until after the translation was finished." The problem with the "brown, striated stone," acclaimed Mormon historian Richard Bushman writes at By Common Consent, is that "it crosses a boundary we had held on to between religion and superstition." Mormons have known about "the gold plates and the angel and the Urim and Thummim [considered &apos;interpreters&apos;] long enough to assimilate them into respectable religion,&apos; says Bushman, author of the Smith biography "Rough Stone Rolling." "Those are the ways of God." On the other side of the divide, he writes, "are witchcraft and spells and tarot cards. Those are silly superstitions that the benighted believe in. We want none of that." The seer stone, "sitting there like it had just been dug up," Bushman adds, "drags across the line into the realm of the superstitious." But the historian is not troubled by a rock of revelation or other religious artifacts. "I rather like them. They are part of Mormon materiality," he writes. "They suggest there is a technology of revelation, somewhat resembling iPads [given out to Mormon missionaries], that assist us in getting divine intelligence. I don&apos;t subscribe to Protestant stuffiness about proper ways for God to act and disreputable ones. I am willing to go along with the ways of God even if they are unconventional by Enlightenment standards." 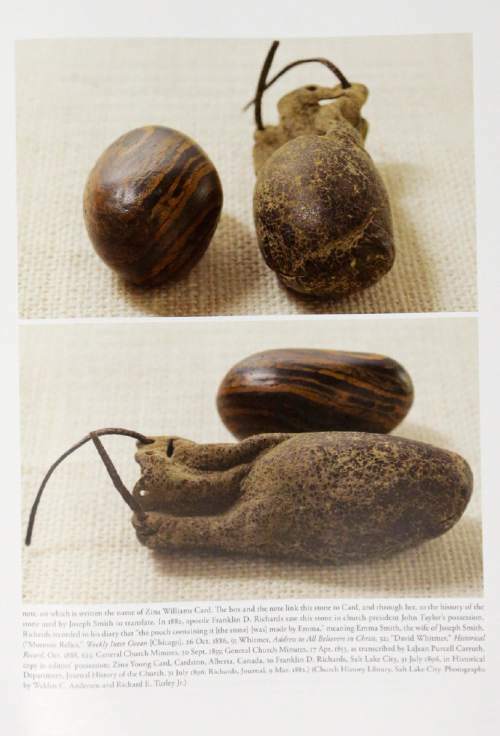 This seer stone will be "one more excuse to mock Latter-day Saints," laments another Mormon historian, Ardis E. Parshall, on her blog, Keepapitchinin. "But believers crave this sort of connection to our miraculous past and, I think, our longed-for miraculous present. Far too often, writes Parshall, who is working on "She Shall Be an Ensign," an LDS Church history from a female perspective, "our month-to-month religion is prosaic and borderline: We hear &apos;sermons&apos; on skirt lengths and sleeves; &apos;testimonies&apos; are too often nothing but &apos;this is my last week in this ward and I just wanted to thank all you guys for being so amazing&apos;; and Sunday School discussions, if we follow the manual, are uninspiring recitations of obvious answers to tedious questions." 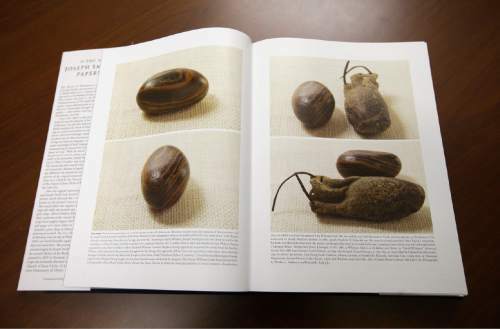 Then something like the seer stone comes along to remind Mormon believers that "we are not all that removed from the spiritual and the miraculous, if we make the effort to connect with it," she writes. "I&apos;m looking forward to thinking about this some more." That&apos;s Emily Jensen&apos;s hope, too. The LDS writer believes Bushman&apos;s iPad analogy might help Mormons, but also could shut down the conversation. "I imagine telling my children, &apos;It&apos;s like an iPad&apos; and them going, &apos;Ohhh, that makes sense,&apos; and then moving on," Jensen comments on the Bushman post, "and I don&apos;t want everyday members to do the same." Mormons "need to wrestle with the idea more," she writes. "I don&apos;t think it was iPad easy for Joseph. I don&apos;t think we can understand it." This is a "defining moment in discussing [Mormon] peculiarity," Jensen says, "and I want to take it."